When winter comes, energy bills skyrocket. Gas usage increases as heating works harder and stays on longer. Similarly, lighting during the hours of darkness consumes more and more electricity as we find ourselves switching the lights on by 4.30pm around November time. Finding ways to improve energy efficiency around our homes can make a big difference for energy tariffs – British Gas has just increased their tariffs for the second time from 1st October which means some may see an increase by 3.8%. Additionally, using less energy also cuts down on your household’s carbon footprint, reducing your contribution to global climate change, something which we really all should be doing for the sake of future generations. Adjusting your thermostat could be one of the most important steps you’ll take to save energy this winter. According to the Energy Saving Trust, turning your house’s temperature down just one degree could save up to 10% on your heating costs. Surely that’s worth putting on a jumper for. The slight change in temperature will be barely noticeable in most cases. Also deciding if you actually need the heating on daily could save money too – we are in October now and usually by this point I have switched it on in the evenings and set it to come on just before the kids wake up. I so far haven’t needed to do this yet as its actually rather warm still, so instead of relying on the auto timer switches you could just pop the heating on for a quick hours boost if it’s needed for a while longer. Another thing to remember is that if you are going away you could adjust your heating, you don’t need to heat an entire home if no one is in it. Large-scale changes to insulation, such as insulating a loft or adding insulation to walls, can be costly. Even so, these measures can pay off in reduced energy costs. 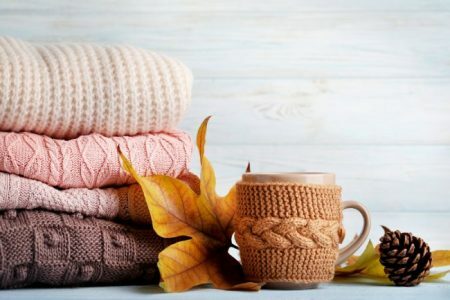 If you can’t afford to make large-scale improvements now, or can’t make changes to a rented property, there are still several things you can do to help cut down your heat loss to the outdoors. Close your curtains when night falls to stop heat escaping. Fix gaps and cracks where draughts get in using draught tape, foam sealant or draught excluders. These small gaps in your home’s heat seal can be an especially bad problem in older buildings. We had our loft insulated free of charge by British Gas and they also offer free insulation for the walls (our home wasn’t compatible for adding to the walls) so that is worth looking into as well. Old flooring can let the heat escape if you have gaps but that doesn’t mean you have to have carpet throughout your home either. Properly fitted laminate flooring is a good option for homes, easy to clean and a great choice if you have pets and/or children. Changing mine to laminate was the best thing I did before the kids arrived and once they are older I can even get it sanded down and revarnished so it looks in tip-top condition – not while they still scrape their chairs over the floor though! Rugs can also be added to help make a room feel warmer. Be sure to use the amount of energy you need. Don’t boil an entire kettle of water if you’re only going to make one cup of tea. Similarly, don’t run the hot water tap while doing dishes or leave the refrigerator door open while taking something out for a short time. Each of these individual actions uses only a small amount of energy, but the combined reduction over the long term can be significant. Don’t run the dishwasher with only a few cups in it and remember to turn lights off when you leave the room. Since having my smart meter fitted I really do notice the difference all these little changes make. Larger expenditures like replacing a boiler, installing insulation or even mounting solar panels require a little planning. There are some small changes, however, that are well within the frugal energy saver’s budget. Replacing incandescent bulbs with energy-efficient compact fluorescent (CFL) bulbs is one of them. Although they are slightly more expensive in the initial outlay these bulbs cost much less to run and have a much longer life, making them more efficient not only in energy terms but in replacement costs. Even adding a draft excluder to the letterbox makes a lot of difference. If you have a glass front or back door adding a heavy curtain over it will also help to keep the heat in the house and draft excluders under internal doors can also help if you get a draft under them. Electrical appliances such as televisions, DVD players, stereos and games consoles are never really off unless they’re manually switched off. Most have a “standby” mode, in which they shut off most functions but still consume a small amount of electricity. Shutting these devices off manually or at the walls cuts down on their energy consumption without making any difference to performance. Even if you don’t switch them off every time they’re not in use, you should definitely switch televisions and similar appliances off every time you go away for an extended period – if you’re away over Christmas, for instance. These changes are all small in themselves, but making them can make a surprising difference to your energy consumption this winter. Depending on the size of your home you may want to think about the placement of beds etc in the winter, if you can place them by an internal wall as these are less cold and try not to put them under a window as you may get a draft from the windows if your double glazing isn’t great. Are you wearing a vest (for the kids)? Do you have at least 2 layers on (not including vest), one being a jumper or fleece? Do you have any tips for saving money on energy costs? Awesome post! Thank you so much for the tips, love love love it! I love this post. I am a freak about saving energy. We use a Nest thermostat and it has helped our bills dramatically! Hello Clare, thank you so much for sharing these fantastic tips! I think you have some great ideas in this post. I cannot stress more on the point u mentioned about *switching things off* because we all end up putting everything on standby rather! So good choice of words, I must say. And this is really very much informative. I actually just threw on sweats for the first time this year. Heater hasn’t been turned on yet! What a great tips, Thank you for posting such an information. This can be really useful! I always try to be efficient with the amount of energy I use in winter. Will definitely be wearing more layers this year! Great tips! Saving energy is fundamental to help the environment (and the domestic economy!). We have moved to a Minergie apartment 5 years ago. It’s perfectly isolated, we don’t open the windows during winter because there is a system of ventilation and the heating doesn’t use any kind of fuel or gas or electricity, it has a Heat Pump which takes the energy from the underground to create heat! We are so much frugal now because every single home appliance has to be labelled Minergie P and ensure the lowest possible consumption! Yes, yes, yes. It’s incredible how many people complain about being cold while walking around the house in a thin vest! Thanks for spreading awareness about energy efficiency. Great tips!!! I live in an older, brick home, so when winter hits omg! I swear heat just get sucked out of our house so I end up blasting the heat. I will have to try a few of these tips! I keep throws on my furniture during the cooler months. And I am a big fan of keeping the thermostat around the same temp all year round with small changes up and down as needed.